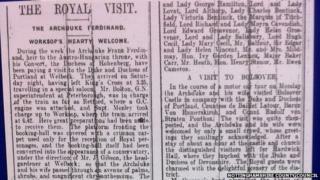 Could Franz Ferdinand Welbeck gun accident have halted WWI? 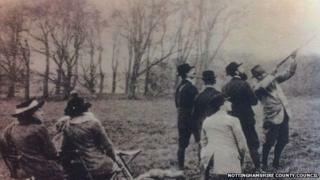 Could a hunting accident in Nottinghamshire have delayed - or even prevented - the killing fields of World War One? 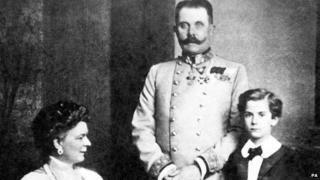 The assassination of Archduke Franz Ferdinand in 1914 started a chain of events leading to the conflict which cost millions of lives. But exactly 100 years ago, and just months before his death, the heir to the Austro-Hungarian Empire narrowly avoided being killed in a freak accident. His host, the Duke of Portland, later speculated the Archduke's death on his estate could have changed the course of history. Although a fading power, the Austro-Hungarian Empire was still a major force in European politics, with close links to Germany. Dr Nick Hayes, a historian from Nottingham Trent University, explained the complex political situation did not stop the social whirl. "War wasn't thought to be inevitable and the great families of Europe had been visiting each other for years. "Many of the royal houses were closely related and while the kings and Kaisers had to obey certain rules, others could travel pretty much as they wished." The Archduke and his wife Sophie, Duchess of Hohenberg, had spent the week with King George V and Queen Mary at Windsor. 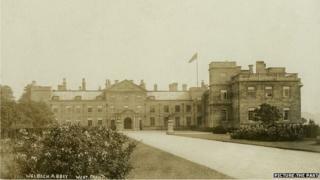 Accepting an invitation from the Duke of Portland to stay at the palatial Welbeck Abbey, the couple arrived by train at Worksop, Nottinghamshire, on 22 November 1913. Ralph Lloyd-Jones, team local studies librarian at Nottinghamshire County Council, said: "They were met that evening by limousines to take them to Welbeck Abbey. "Since it was a Saturday there were large crowds in the town who cheered the imperial motorcade as it drove up Bridge Street and tree-lined Sparken Hill - then, as now, lovely in its autumn leaf." Waiting for them was an illustrious guest list; the Austro-Hungarian ambassador, the Duke and Duchess of Devonshire, Lord Curzon, the Marquis of Titchfield, Lord and Lady Salisbury and ex-Prime Minister Arthur Balfour. Mr Lloyd-Jones said: "It is fascinating to think that just a few months after his visit to Nottinghamshire, his assassination had sparked the start of the Great War. "It is highly likely that as well as being a social visit to the UK, there will have been some diplomatic discussions taking place between those important people during that week at Welbeck Abbey as it was such a politically sensitive time across Europe. 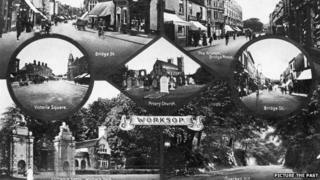 "To think that people who were cheering these imperial visitors as they drove through Worksop would a year later be involved in what became such a horrific world conflict where many onlookers in that crowd would be killed, maimed or widowed is truly shocking." 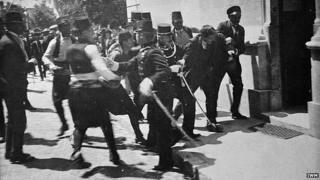 During his stay the Archduke had a brush with death which could have turned these later events on their head. "One of the loaders fell down. This caused both barrels of the gun he was carrying to be discharged, the shot passing within a few feet of the archduke and myself. "I have often wondered whether the Great War might not have been averted, or at least postponed, had the archduke met his death then and not at Sarajevo the following year." Despite the narrow escape, the couple stayed for a week before continuing their travels. On 28 June 1914, during a visit to the Bosnian capital, Franz Ferdinand and Duchess Sophie were shot dead by nationalist Gavrilo Princip. The deaths set in train a series of treaties and ultimatums, stoked by long-running national rivalries, which resulted in the outbreak of World War One. But Dr Hayes is sceptical an early, accidental shooting would have halted the march of war. "Had it not been Franz Ferdinand's assassination, it would have been something else," he said. "So many forces were at play, national rivalries, personal ambition, royal prestige, revolutionary ideals, it is hard to believe it could have been stopped." The Worksop Library in Memorial Avenue is hosting an archive display of photographs and newspaper cuttings about the Archduke's visit and the local reaction to his death.